BodyGossipRuth founded the campaign in 2006. Ruth produces all of the Body Gossip theatre shows and short films, and is responsible for the day to day running of the charity. Ruth is also the Owner and Creative Director of The Canvas Cafe - a cafe and creative venue in East London that hosts workshops, live arts events and ongoing debate. The Canvas Cafe is our affiliated venue, and is home to Body Gossip workshops and theatre events. Ruth is also an actress and puppeteer whose most notable performances include operating Joey's Head in 'War Horse' in the West End; operating a Beach Byrd in CBeebies' 'ZingZillas' for the BBC; presenting CBeebies Radio also for the BBC. Do you love the Be beautiful Body Gossip Book cover? 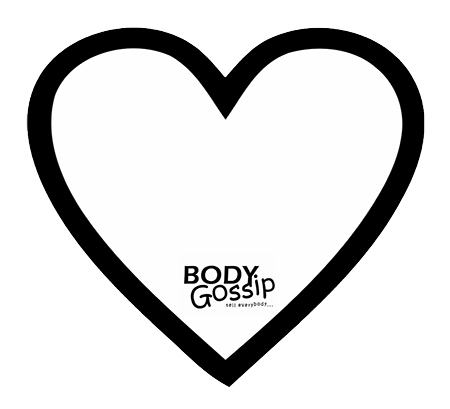 Have you admired our Body Gossip Tshirts in our beautifully designed online shop? They are all testimonies of the talent and dedication of Body Gossip's amazing designer, Lee Simmons aka BodyGossipLee. Hannah Abdullah, Jake Basford, Lauren Benton, Chloe Cook, Kate Elliott, Caroline Dawson, Becky Edmonds, Sarah Fullagar, Beth Greenwood, Megan Harris, Bob Hughes, Alice Jackson, Lisa Jenkins, Kate Lally, Bethany Littleton, Amy-Louise Murray, Kerry O'Brien, Louise Ravenscroft, Gareth Sanders, Tracy Shave, Ally Stableford, Sarah Stagg, Athena Stevens, Charlotte Talbot, Jackie Tanner, Jillian Taylor, Laura Tombs, Clare Uytman, Liz White, Eloise Williams and Francesca Woods. Thank you to all our Ambassadors for doing such an amazing job, supporting and promoting Body Gossip. If you are interested in becoming an Ambassador, please email info@bodygossip.org - please note, we get a lot of requests, and we're sorry if we don't manage to reply immediately.